My daughter has been a fan of Camp Carnival since her first Carnival Cruise at age 6. She’s now 10-years-old and still loves to participate in the kids’ activities onboard. 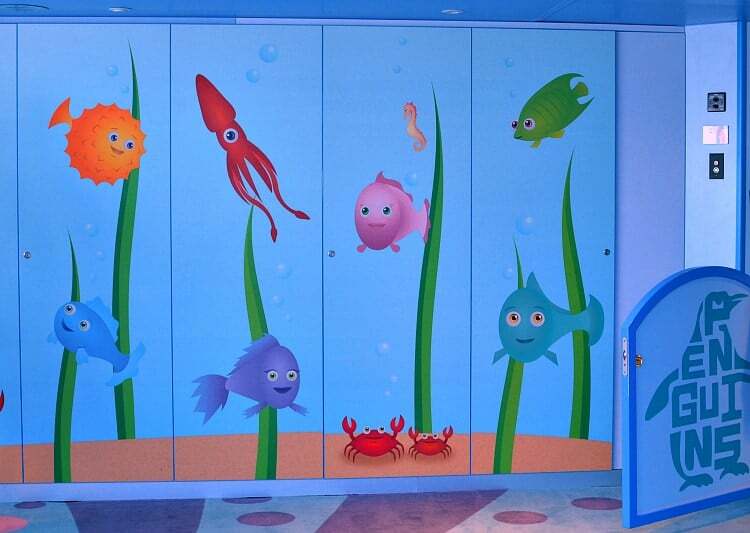 Recently we took a family cruise on Carnival Freedom, where she had the chance to experience Camp Ocean — the new marine-themed children’s program that’s replacing Camp Carnival across the fleet. Camp Ocean features more than 200 new ocean-inspired activities for children ages 2-11, with three age-related groups: “Penguins” for children ages 2-5, “Sting Rays” for ages 6-8 and “Sharks” for 9-11. Before my daughter had the chance to play with the “Sharks” in the new Camp Ocean, I was treated to a tour of the facility to see some of the spaces for younger children on Carnival Freedom. Like the previous Camp Carnival, Camp Ocean begins when you register and sign in your child at the facility’s front desk (only authorized parents/guardians can sign children in/out). 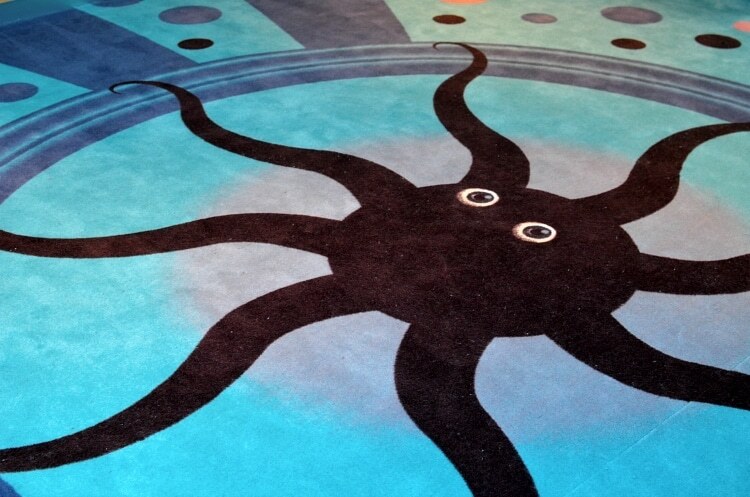 On Carnival Freedom, Camp Ocean is located right next to Dr. Seuss Bookville on deck 12. From there, there are two doors. 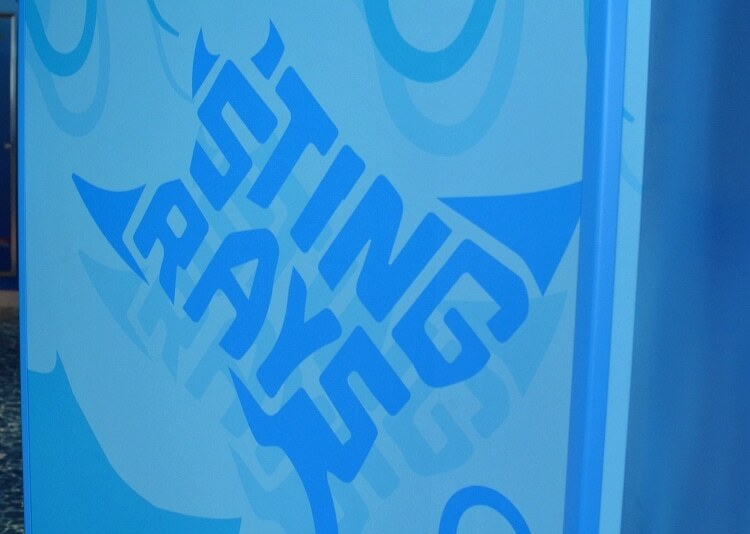 One on the left that leads to the Penguins and Sting Rays, and one on the right that leads to the Sharks. 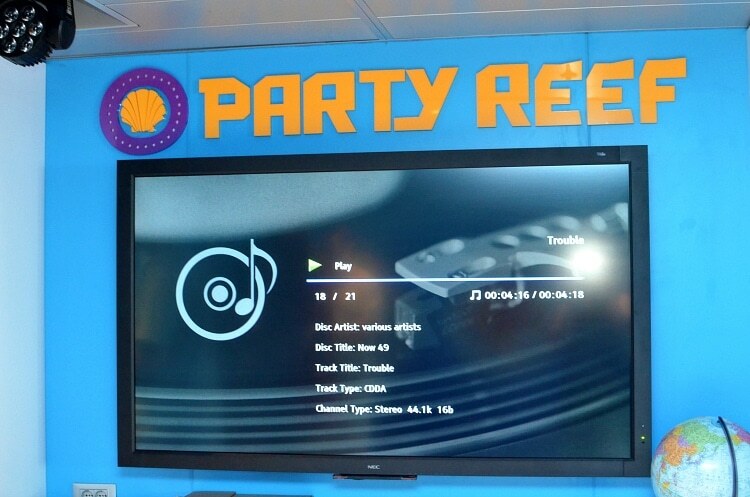 The groups are connected by a common share space called the “Party Reef” for games and dance parties. 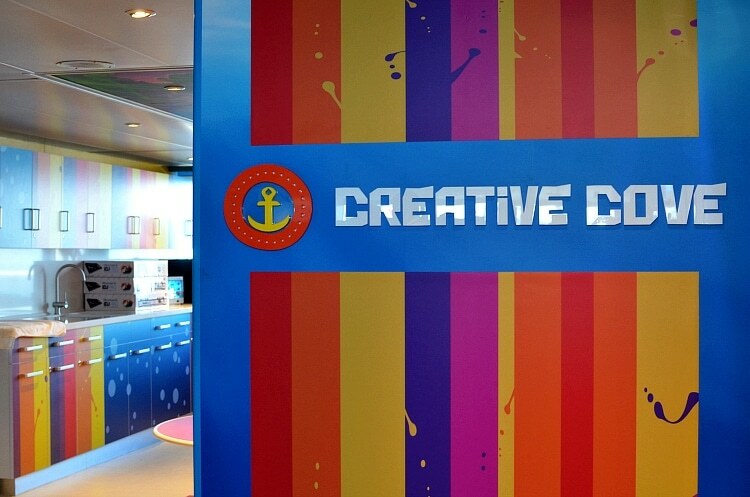 The “Creative Cove” is also shared for arts & crafts. 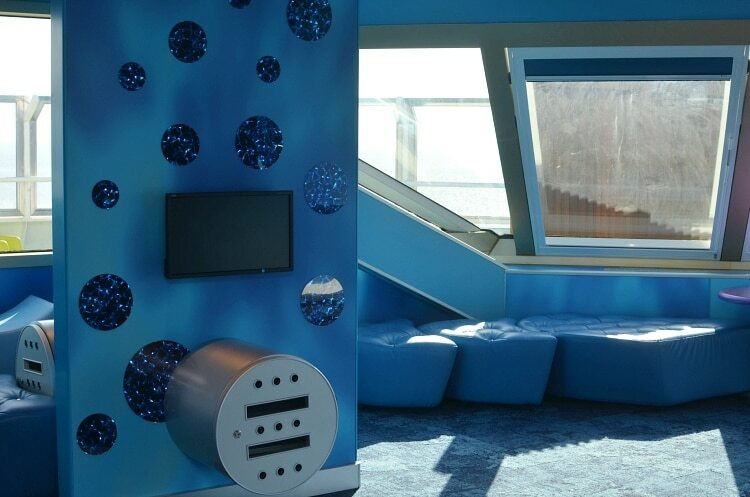 Here’s a peek at each of the play spaces, which were completely remodeled on Carnival Freedom especially for Camp Ocean. 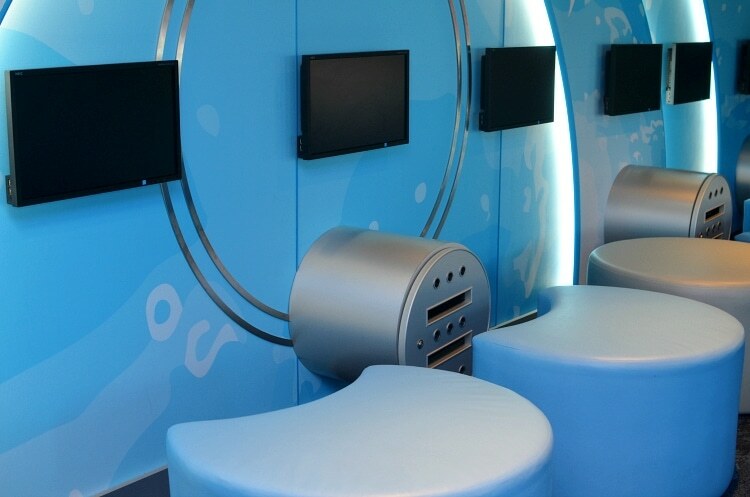 My daughter loved the look of the “Sharks” room because it was noticeably different than the younger kids space. She said it felt more like “Circle C” — the youth program for teens ages 12-14. At age 10, I totally get where she’s coming from. With ages 2-11 all it one place, it’s important that the older kids feel that they have a space to themselves. During her time at Camp Ocean, my daughter played video games, made ocean-themed crafts (sand art), and participated in group activities, like scavenger hunts. She went back day after day, so they must be doing something right! For parents of younger children who are worried about leaving their kids at Camp Ocean, have no fear. The staff is EXCELLENT and really goes above and beyond to make the everyone feel welcome. 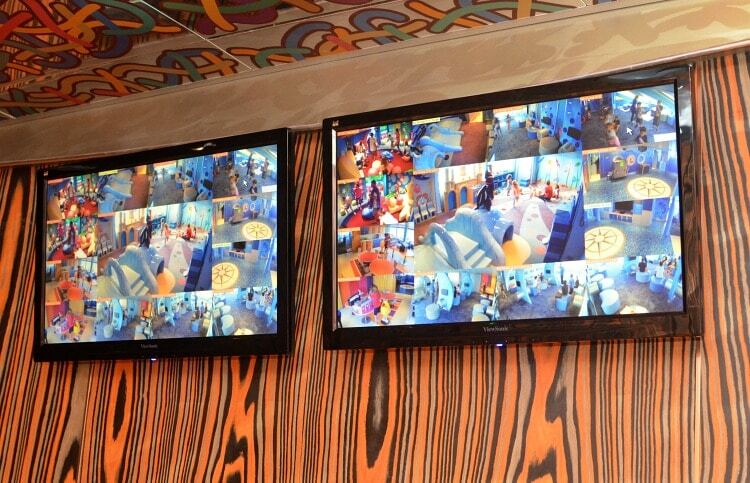 On Carnival Freedom, television monitors are placed just outside the entrance to Camp Ocean for parents to check in on their kids during camp hours without being noticed. What do you think of the new Camp Ocean? Special thanks to Carnival Cruise Lines for inviting my family on Carnival Freedom. All opinions are my own. 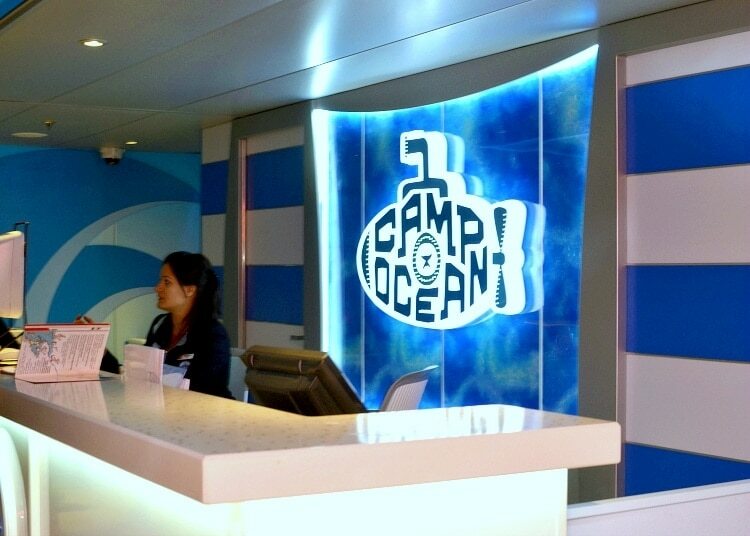 My kids would thoroughly enjoy Camp Ocean! What a neat place for them to have fun while Mom and Dad enjoy some kid-free time on the cruise! It is so fantastic that the kids have a space just for them. There are fun and exciting things for them to do, and parents can take a deep breath knowing their kids are in great hands. 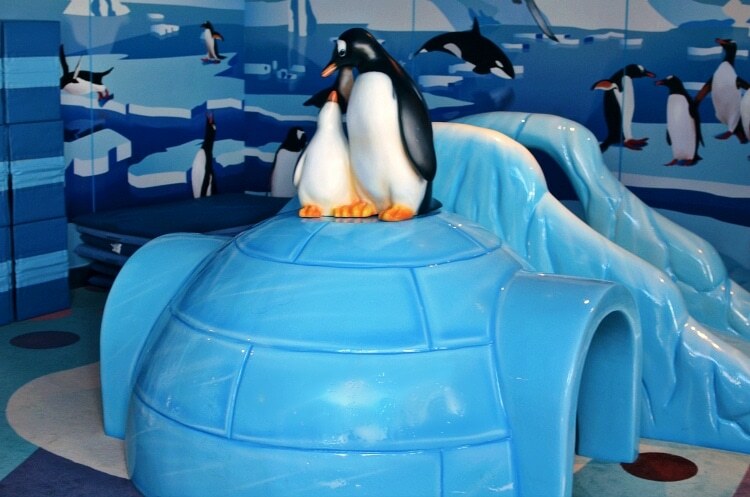 The kids’ programs are one of my favorite components of Carnival cruises. This looks amazing. I had no idea there were camps like this for kids available on cruise. I’ve never been on one before! That looks pretty awesome, I think I want to hang out there! Oh wow!! You just convinced me to cruise with my kids! They would LOVE Camp Ocean! What an awesome idea! camps on a cruise? Now that is way cool! Cruises have come such a long way! I can’t wait to go on one with my family. 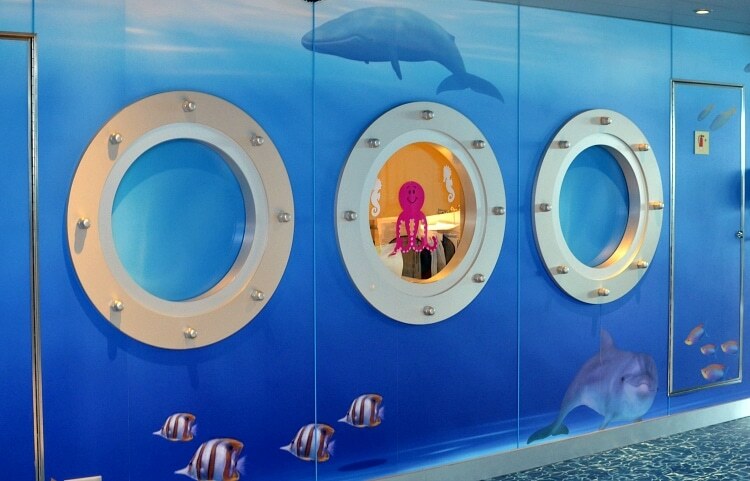 I love the portholes so you can check on your kids without being seen. Camp Ocean sounds so cool and fun for kids! The idea of being able to check in on the kids without them seeing you is really nice. What an amazing program. I love that they have the TV’s for parents to check up without the kids seeing them. Great idea for moms like me with youngers ones who want to make sure they are doing ok.
Wow, what a bright and fun place, I bet my kids would not want to leave! 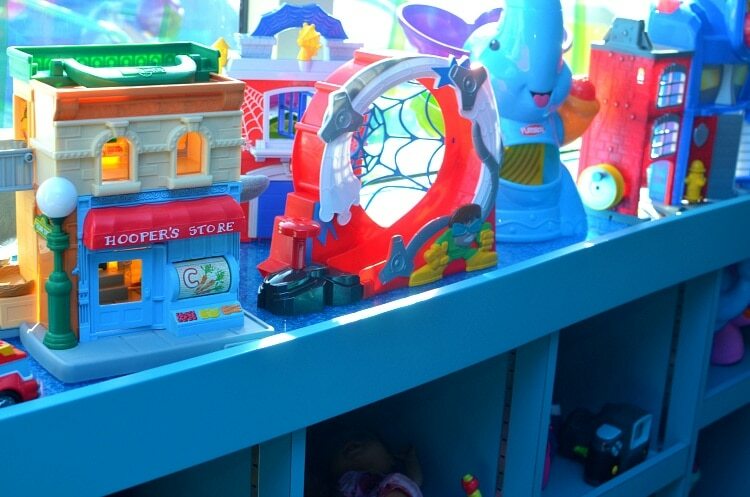 It looks like a really welcoming and happy place for kids to spend time. I always think of cruises being an adult vacation, but I’m totally wrong! I want my husband and I to experience one first, then we will be doing a family one! I think it’s great that the cruise line thinks ahead and is providing activities for children while on board. That is such great customer awareness. That looks like so much fun for kids! 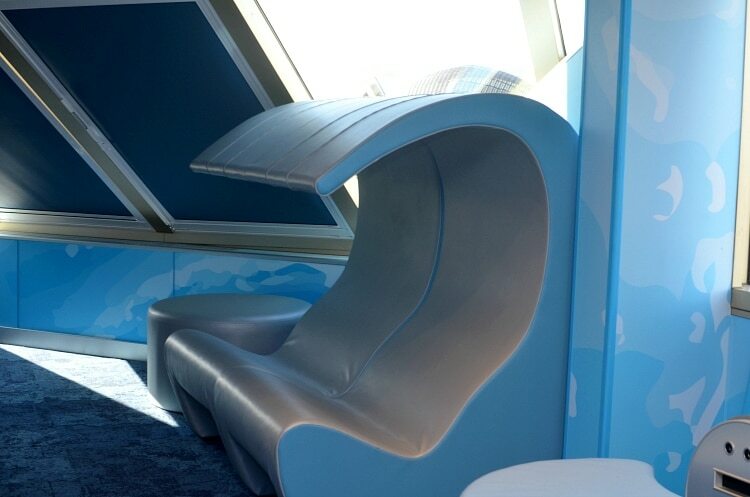 I think it’s great that Carnival has put so much into making their ships kid-friendly. I’ve never been on a cruise before but my kids have been dying to go on one lately! I’ve heard they have rooms like this! This one looks like a blast! my toddler would love that slide! Wow! It looks so kid friendly. I bet they have an awesome time at this camp.